Botany Social Science, Sociology, Ethics, etc. Experience Years of translation experience: 51. Registered at ProZ.com: Oct 2003. Became a member: Oct 2003. Professional practices Muriel Vasconcellos endorses ProZ.com's Professional Guidelines (v1.0). Author of the memoir, "Finding My Invincible Summer," which includes stories about my translation career. Still and always, translator from Spanish and Portuguese to English with specialization in medicine, public health, veterinary health, agriculture, environmental conservation, and linguistics. Extensive experience with high-quality machine translation system developed by the Pan American Health Organization. 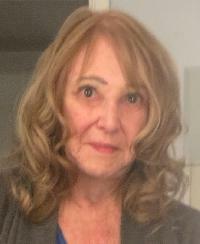 25 years' experience as staff translator/reviser/terminologist/editor/writer for international organizations (Organization of American States, then the Pan American Health Organization and the World Health Organization), working from Spanish and Portuguese into English; 26 years as a freelance. More than 75% of my work has been in medicine and public health. Direct freelance clients have included PAHO/WHO, OAS, ECLAC, Conservation International, Global Fund, Malaria Consortium, World Bank. Extensive experience as conference translator, reviser, and précis-writer. Ph.D. in Linguistics from Georgetown University with emphasis on discourse analysis, translation theory, and Romance linguistics (88 academic units in linguistics, including 12 taught in Portuguese and 9 taught in Spanish, covering translation theory, theory of terminology, lexicography, phonology, morphology, semantics, historical linguistics, transformational grammar, case grammar, tagmemics, contrastive analysis, sociolinguistics, functional linguistics, computational linguistics, etc.). Author of over 100 articles (many peer-reviewed) on translation theory, functional linguistics, machine translation; also wrote a 200-page style manual for PAHO. Adjunct instructor of translation and terminology at Georgetown University for 16 years. Near-native command of Portuguese from speaking it exclusively at home with Brazilian husband, also through extensive travel in Brazil, practice with a wide circle of Brazilian friends and relatives, many years of study of the language including graduate-level courses taught in Portuguese, and decades of translation experience. Fluent command of Spanish thanks to concentration in the language from high school through graduate school, travel in 15 Spanish-speaking countries (including residence in Mexico City), and more than four decades of translation experience. Based in San Diego, CA (USA).